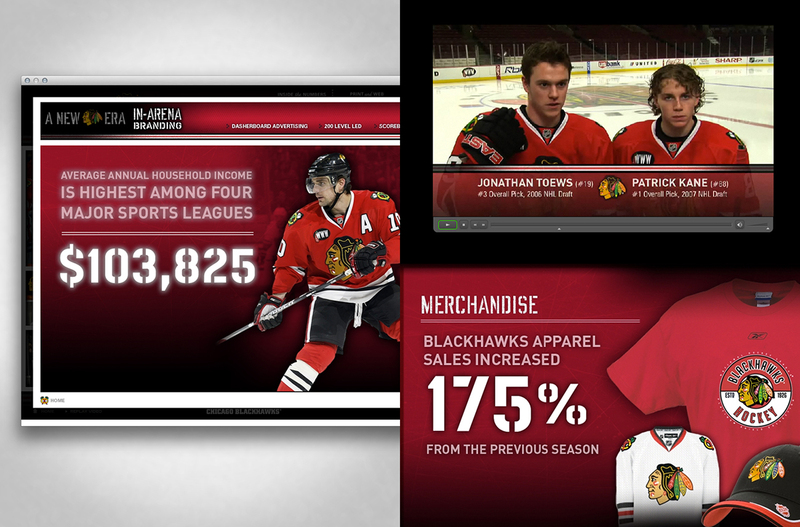 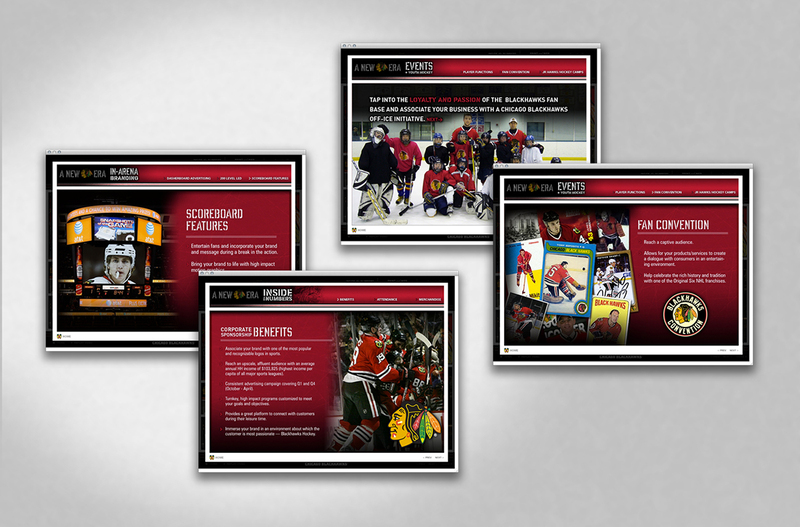 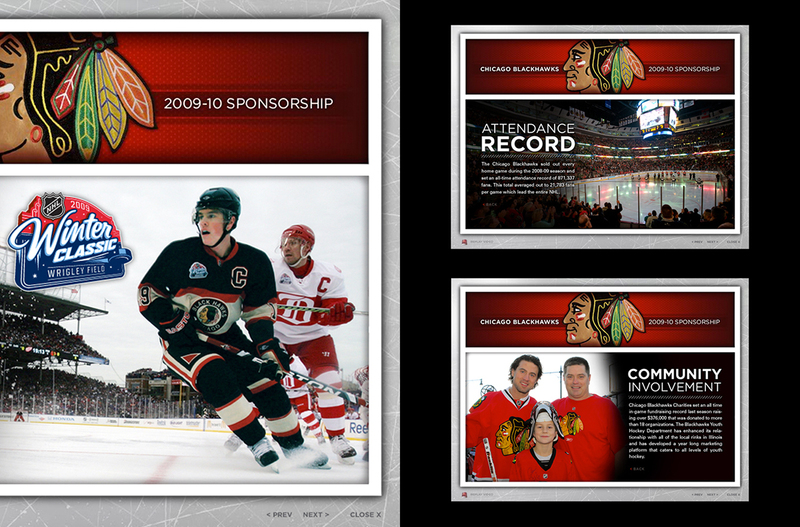 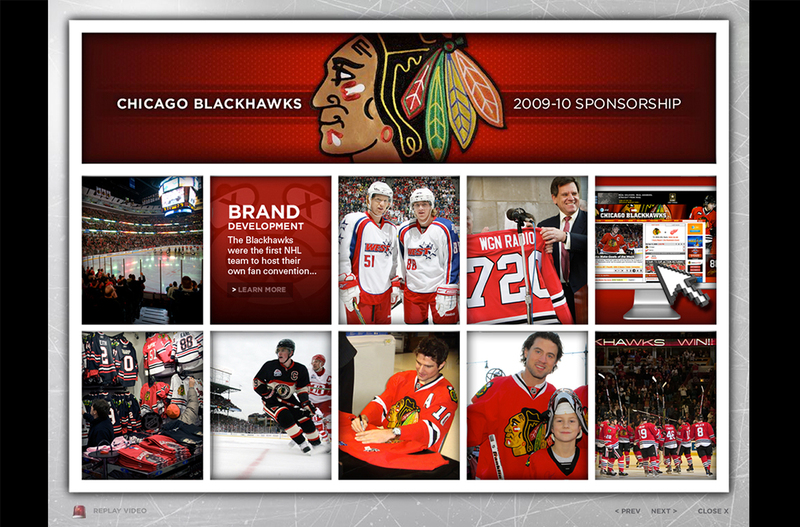 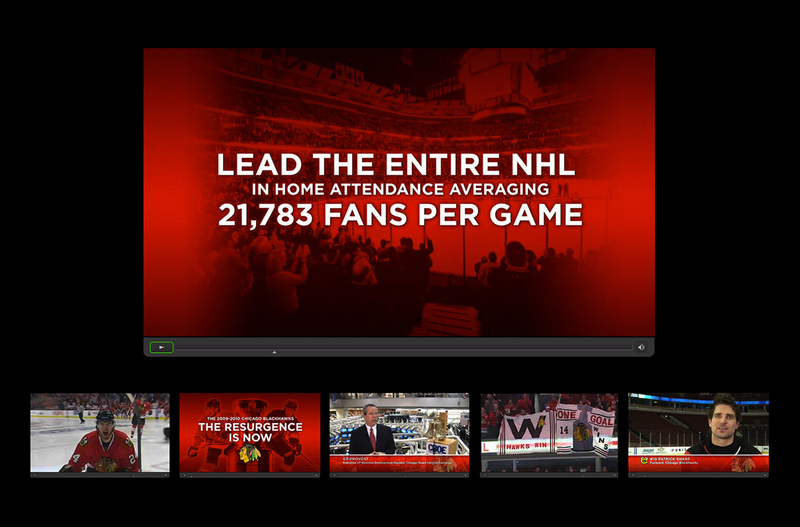 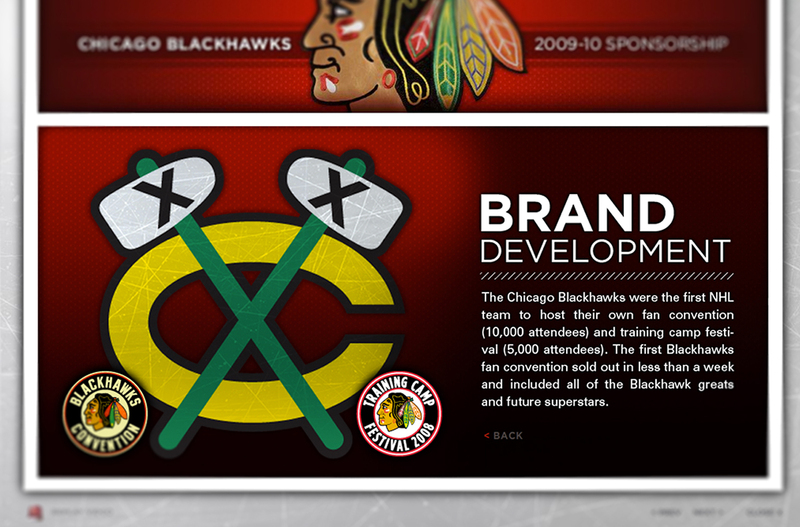 We produced immersive interactive corporate partner presentations for the Chicago Blackhawks assisting them to obtain new business. 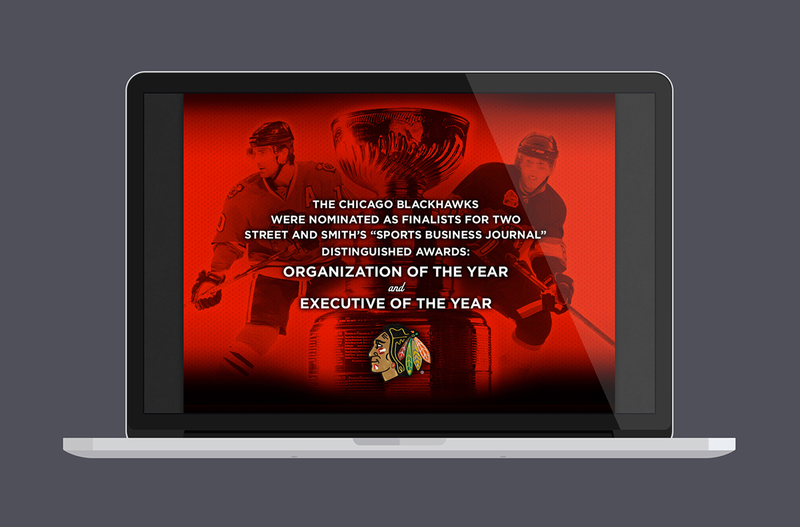 The presentations included a fast-paced video introduction and a comprehensive back-end Flash piece with stunning graphics. 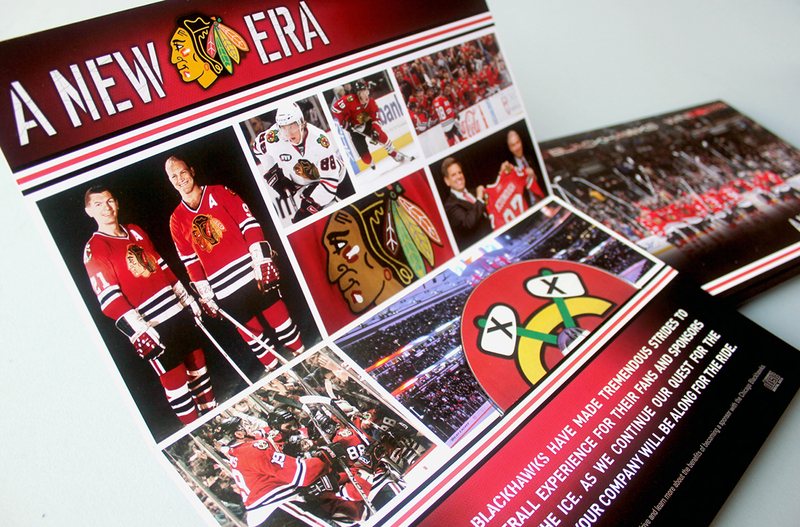 It was all packaged within a custom Blackhawks mailer with the goal to drive awareness of the accomplishments of the team both on and off the ice. 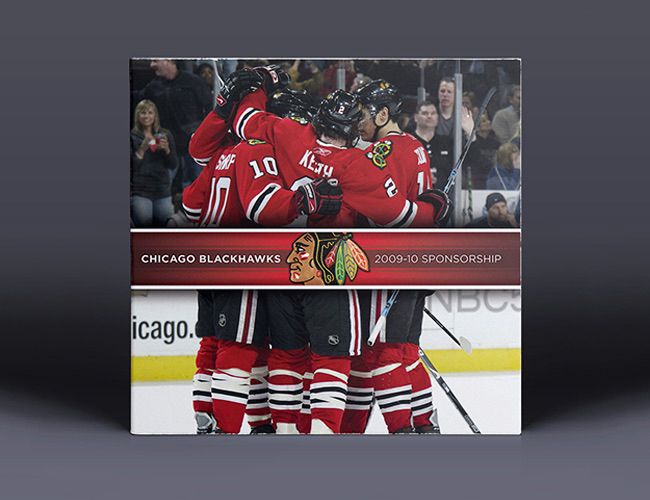 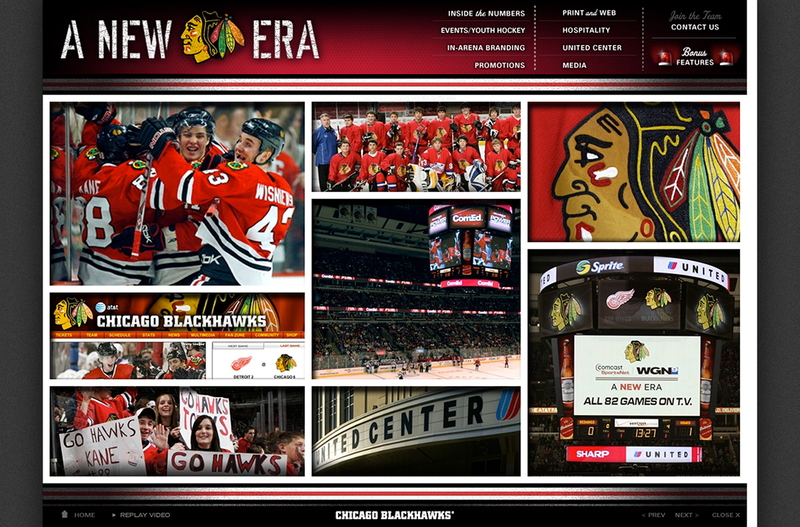 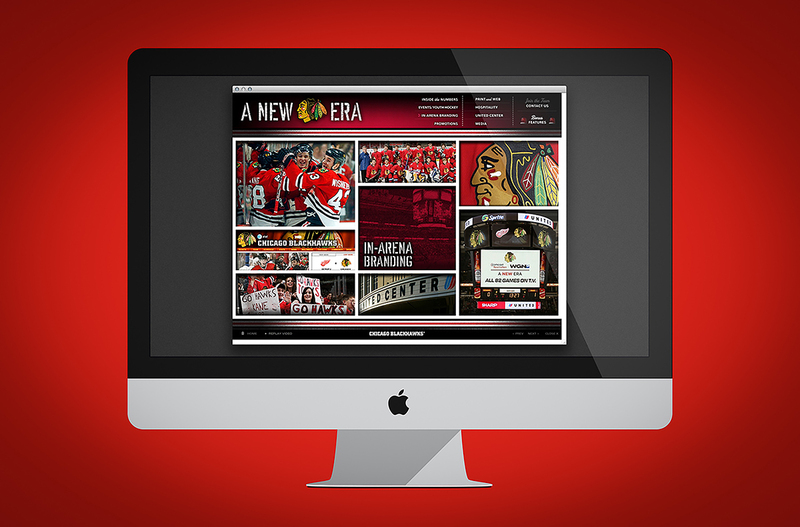 "A New Era" and "Resurgence Is Now" CD-ROM’s provided corporate partners with in-depth examples of why partnering with the Blackhawks was a smart business decision.